Angela Blanchard has reached an epiphany through her more than 30 years of experience: A community should be defined by its strengths, resources, achievements and hopes – not its degree of brokenness. 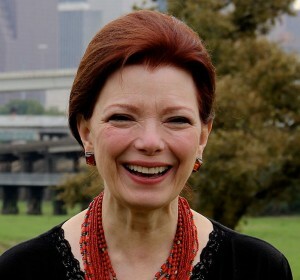 As a result of her unwavering and passionate efforts as President and CEO of Neighborhood Centers Inc., Blanchard has extended this community development framework throughout the Houston region to impact almost 600,000 people a year. Under Angela’s leadership, Neighborhood Centers remains the largest non-profit in Texas, and ranks in the top 1% of charitable groups in the nation. Blanchard’s insightful knowledge of community revitalization and its impact on metropolitan areas has garnered three invitations to the White House to advise the administration on the President’s Promise Zone Initiative and Social Enterprise and Opportunity Series. She serves on the Brookings Institution Metropolitan Leadership Council and the Clinton Global Initiative as an expert on innovative investment approaches that grow local economies, promote thriving neighborhoods, and expand opportunities for financial and social returns. She has spoken at a number of high-profile events, including the Business Innovation Factory (BIF) summit, TEDx Houston, the Federal Reserve Bank’s forum on “Investing in What Works for America’s Communities,” Rockefeller Foundation Roundtable, Executive Leadership Academy of Australia, PolicyLink Equity Summit, and Alliance for Strong Families and Communities national conference. The National Underground Railroad Freedom Center honored Blanchard with its “Everyday Freedom Hero Award” for her advocacy on behalf of the nation’s working immigrants. In 2013, Fast Company Magazine named her a Generation Flux Leader for adapting and leading during troubled and disruptive times, as well as one of the year’s Most Creative People in the nation. Blanchard is currently a Board Member at the Greater Houston Partnership and on the National Community Advisory Board for JPMorgan Chase.